West was the team's starting small forward. He was named All-State from 1953–56, then All-American in 1956 when he was West Virginia Player of the Year, becoming the state's first high-school player to score more than 900 points in a season. 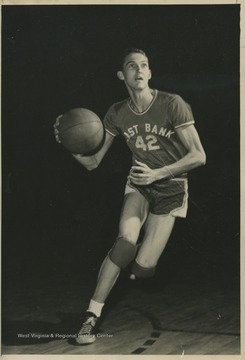 West, who is mid-air and ready to shoot the ball, played for East Bank High School as the team's starting small forward. 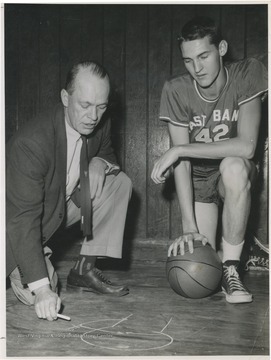 He was named All-State from 1954–56, then All-American in 1956 when he was West Virginia Player of the Year, becoming the state's first high-school player to score more than 900 points in a season. West played as the team's starting small forward. He was named All-State from 1953–56, then All-American in 1956 when he was West Virginia Player of the Year, becoming the state's first high-school player to score more than 900 points in a season. 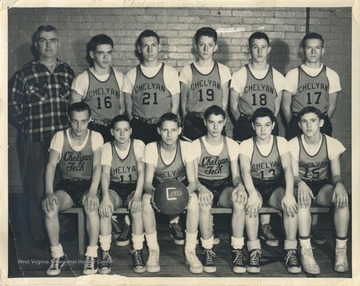 West is pictured at 7 years old, likely when he was living in Chelyan, W. Va.
Jerry West is Number 12 in the front row, second from the right. He played as the team's starting small forward. 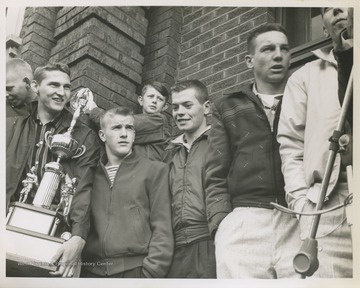 Jerry West, pictured holding the trophy, is outside of East Bank High School after leading his team to championship victory. West was the team's starting small forward. 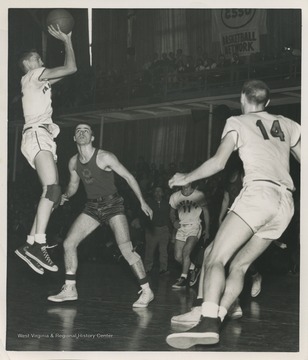 He was named All-State from 1953–56, then All-American in 1956 when he was West Virginia Player of the Year, becoming the state's first high-school player to score more than 900 points in a season. West, right, is pictured with East Bank coach Roy Williams, who is stressing defense techniques. West was the team's starting small forward. He was named All-State from 1953–56, then All-American in 1956 when he was West Virginia Player of the Year, becoming the state's first high-school player to score more than 900 points in a season. 9. Crowd Gathers to Welcome Home High School State Champions, East Bank, W. Va. 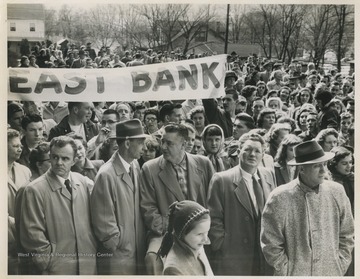 Crowd Gathers to Welcome Home High School State Champions, East Bank, W. Va. The crowd gathered on the East Bank High School lawn to welcome home the state champions. The State Champions Basketball Game was played at Mountaineer Field House in Morgantown, W. Va.
10. 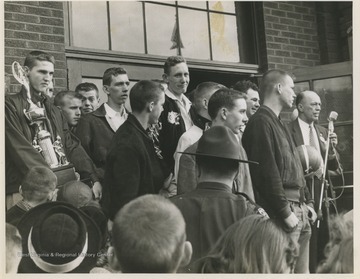 East Bank High School Basketball Team after State Championship Game, East Bank, W. Va.
Jerry West, pictured on the left holding a trophy, is outside of East Bank High School after leading his team to championship victory. West was the team's starting small forward. He was named All-State from 1953–56, then All-American in 1956 when he was West Virginia Player of the Year, becoming the state's first high-school player to score more than 900 points in a season. 11. 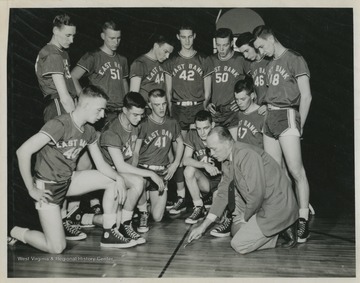 The East Bank High School Basketball Team, East Bank, W. Va.
Jerry West, No. 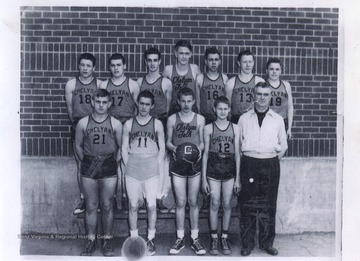 42, is pictured with his high school basketball team and Coach Roy Williams.West was the team's starting small forward. 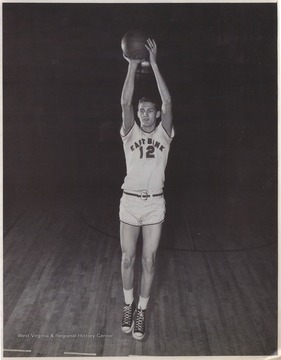 He was named All-State from 1953–56, then All-American in 1956 when he was West Virginia Player of the Year, becoming the state's first high-school player to score more than 900 points in a season.West also led his team to victory at the West Virginia State High School Basketball Championship in 1956, a first for the team. 12. 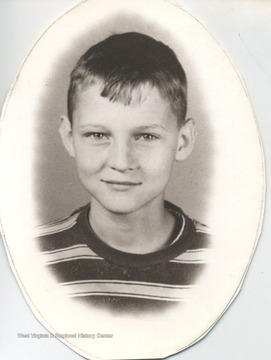 Jack Chrest of East Bank High School Basketball Team, East Bank, W. Va.
Chrest was a teammate of Jerry West during his high school basketball career.The 1956 team secured the first ever state championship title for East Bank High School's basketball team.